Obeah is one of the more unknown and obscure African traditions of Sorcery. While Santeria, Umbanda, Candomblè are getting a broader and broader reputation Obeah is still veiled in a great deal of secrecy. This is understandable when you view the complexity in this earth-religion. The word Obeah or Obi is it self a word shrouded and obscured in secrecy. The most understandable meaning of the word can be translated into ”occult power” meaning a powerful engine used to empower spells for witchcraft as well as other forms for practical magic and communication with the gods. Obeah is close to witchcraft as well, but it also includes many elements you`ll recognize in shamanism. This is the very core of Obeah, the shamanistic techniques that are used at initial stages of obtaining knowledge, on a more developed level the practice will develop into forms of worship easily recognized within vouden. The impulse of Obeah is the witchcraft-part. Obeah can be viewed as, ”a Tower of Power”, an enormous vault of intelligent Power you can communicate with mainly by using dices and candles consecrated in a special and secret ways. The Obi inhabits All, that’s why it is no problem to blend it with another tradition. In fact Obeah need some material to work with and to empower. In Obeah related to Orisha-worship (as it mainly are) you can become an Obeah-man or a Obi-man. This signifies that your pathway is particularly dark and evil. 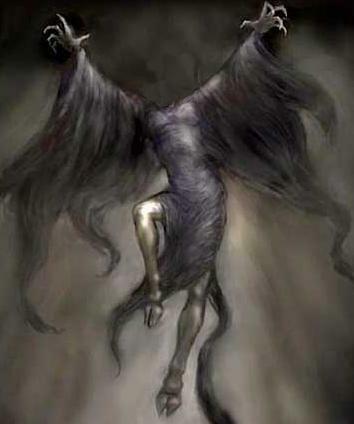 Usually the Obi-men sooner or later will move to scheduled places and perform dark forms of magic mainly connected to the Dead. The Orisha of the Obi-men are called Bones. Bones is the King of Death and has many features in common with Ghuede of the voudon pantheon. Another deity of great importance is Oduda, which means ”The Black One”. She is the principle balancing and most of all - complementing Bones. In features she is closely linked to Naman Brigitte and also resembles the Indian Kali in her aspect as Dhumavati and Baghalamukhi combined. The spirit known in the outer world as Anima Sola is also of great importance, but my yoke of silence restrain me for telling much about her in the open. It must be understood that the path of Bones is a special path not suitable for anyone. The path has a tendency to turn the practitioner of his magic into anti-social beings who inhabits what can look like a disrespect for the life of human beings. The initiation of Bones is only given to those who truly belong in this path of empowerment. The access offered to the wisdom of existence and how to change it relies on the practitioners ability to recognize his or hers own heart of hearts in a manner that draws proper cells of attunement close to the practitioners knowledge of Self in the light of Death. The path of Bones is lethal in the way that he gives his children tools and formulas of a direct and instant function that infuses the ability to severely destroy whatever comes in the Obeah-mans path. I have heard stories about Obeah-men who charge people only a few pennies to kill off someone, like they really want to just kill for the sake of killing. These are rumors, maybe a few occasions has given rise to this rumor – since the danger inhabited in solely working with the forces of Night and Death is evident. But the same rumors are also surrounding paleros, without these rumors having much substance in them – with a few exceptions…..
Vouden is proper to mention at this juncture since Obeah in practice is very similar to vouden. But there are some differences, for instance Satan is personified in this tradition as all the princes of Hell are, in this case as Sasabonsam. This is due to the great influx of western theurgical teaching and the importance stressed on kabbalah and gematria. The different grimoires are frequently used by the Obeah-men, like Grimorium Verum and Goethia as well as the Sixth and Seventh Books of Moses. Especially these books by Moses have a great importance since Moses is seen as the snake-charmer and among the greatest of magicians. Techniques of shamanistic quality are frequently used together with methods ascribing to traditional witchcraft. The way of the Obeah-man is a crooked one but a path that leads to attainment of self. Much of this is shrouded in secrecy and it still will be. This is only a taste for the truthful eyes of wisdom to get even wiser….